In the summer of 1904, Empress Alexandra (“Alix”) of Russia gave birth to a baby boy. Tsarevich Alexei Nikolaevich (known as Alexei) was the youngest child and only son of Alix and Emperor Nicholas II, and heir apparent to the throne of the Romanov Dynasty. Of course, we all know the tragic fate the Romanovs met on July 17, 1918 but before their exile and subsequent murder, the family was quite pleased with their affectionate, yet shy little boy. The Romanov family is known for, among other things, keeping extensive diaries. In the years following their executions, numerous handwritten entries have been made public, shedding light on the innermost thoughts of one of Russia’s most infamous clans. 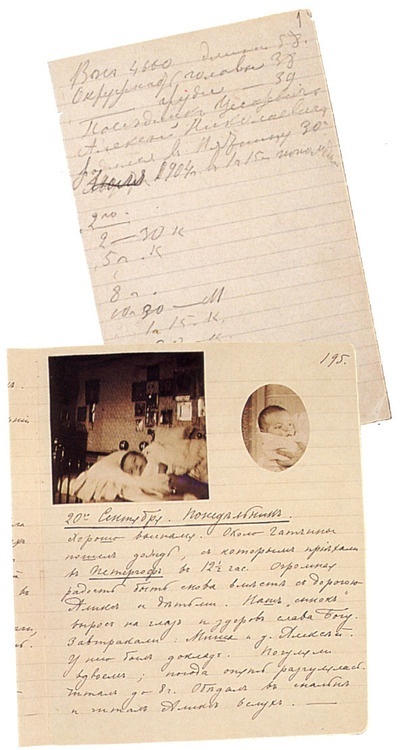 In today’s Famous Diaries, we’re taking a look at Nicholas II’s entry from the day of Alexei’s birth.